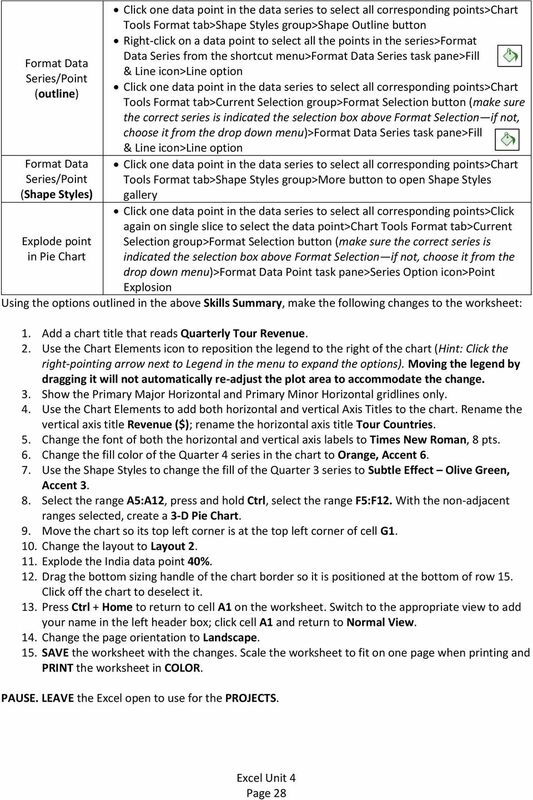 Download "Excel Unit 4. 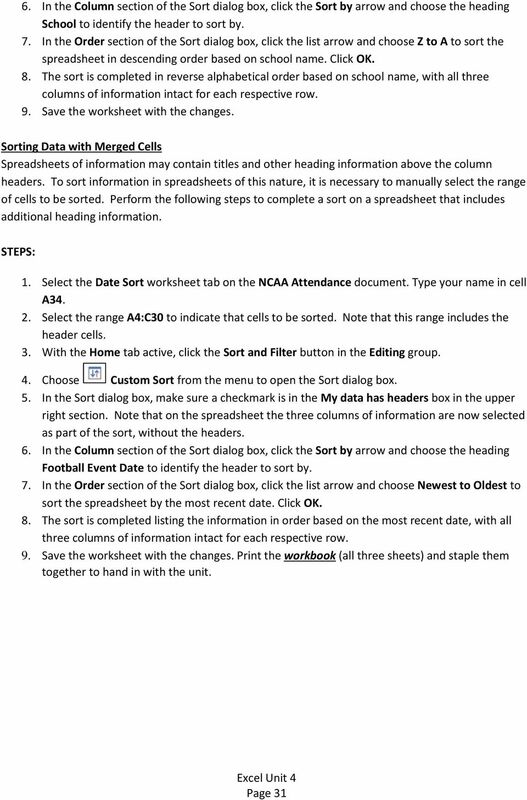 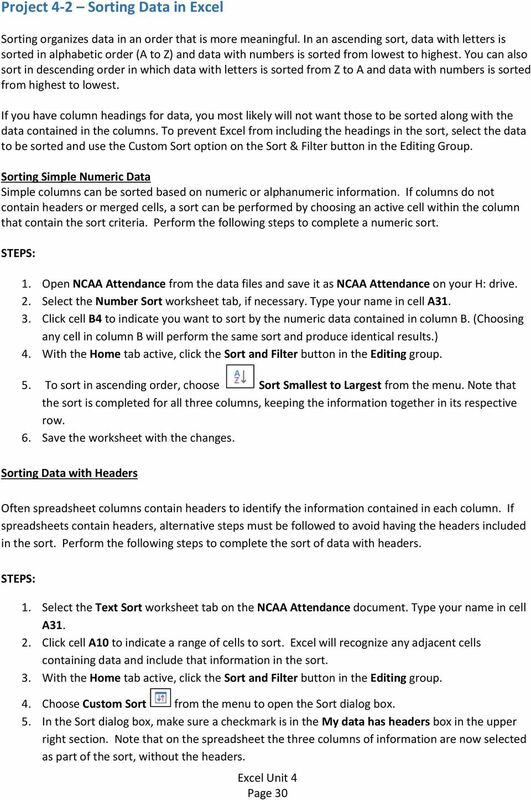 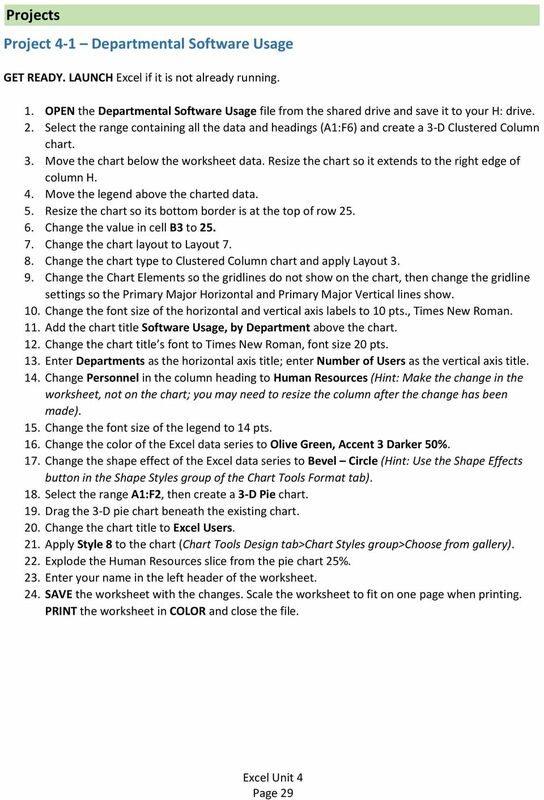 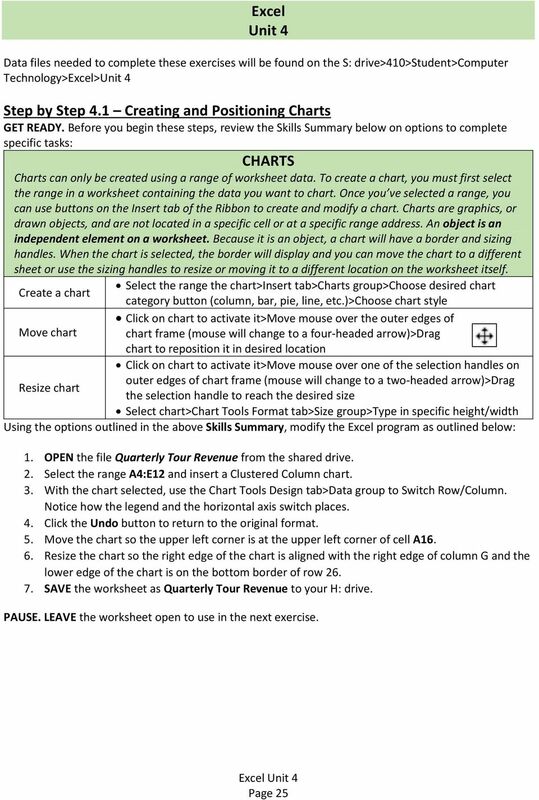 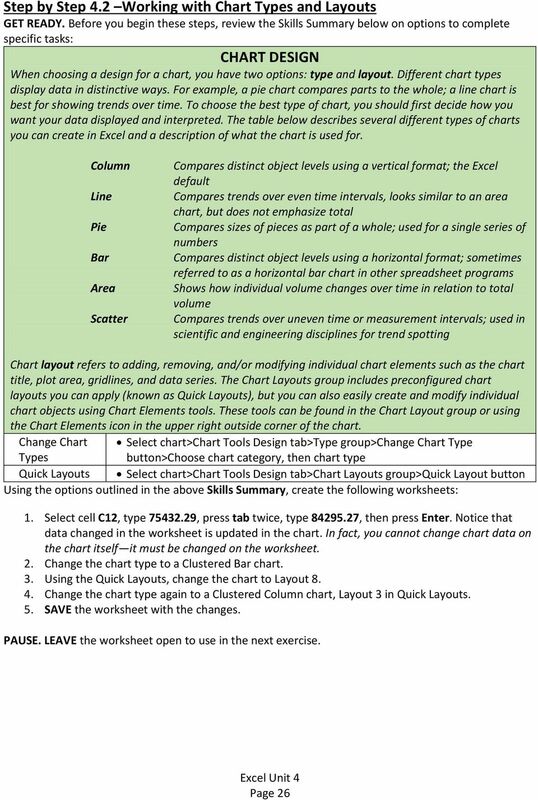 Data files needed to complete these exercises will be found on the S: drive>410>student>computer Technology>Excel>Unit 4"
1) Using the data in the range A4:F11, create a Clustered Column chart (first Column chart). 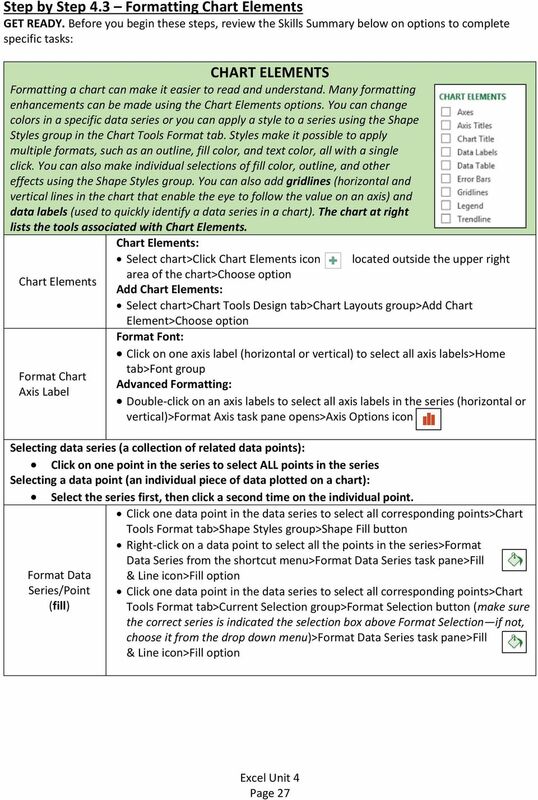 INFORM A TION TECHNOLOGY SERVICES MICROSOFT EXCEL 2010 Level 3 PivotTables & Charts LEARNING GUIDE Course Overview Welcome Information Technology Services is happy to provide you with this training opportunity.